Embattled Gov. Ralph Northam has signed a bill to send up to $750 million in incentive cash to Amazon, quietly sealing the oft-discussed deal to bring a new headquarters to Arlington. Northam put pen to paper on the legislation last night, a day before it was set to become law without his signature. An identical companion bill is still pending in the state Senate, but Northam’s approval and the General Assembly’s overwhelming support of both pieces of legislation likely means its passage is a mere formality. 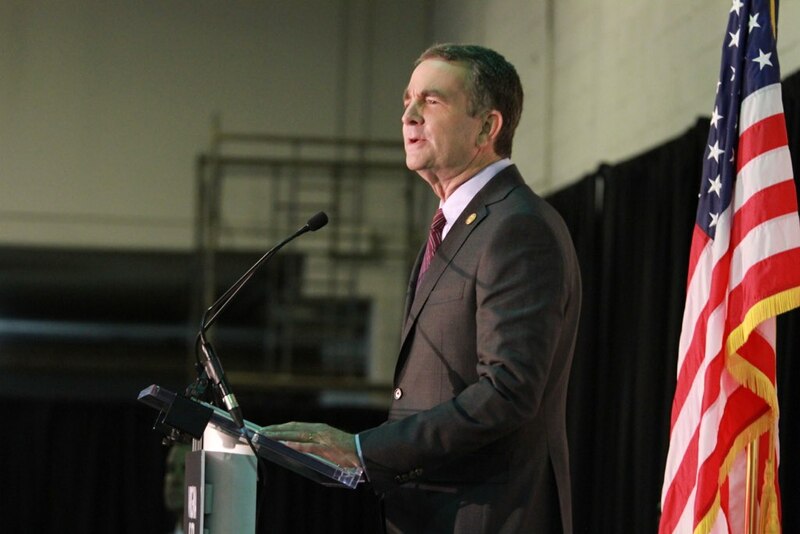 Unlike the massive media circus Northam convened to herald Amazon’s selection of Crystal City and Pentagon City for a massive new headquarters, the governor signed the incentives bill without so much as a press release. The governor is currently facing relentless calls to resign, after the revelation that a racist photo appeared on his medical school yearbook page and his subsequent admission that he once wore blackface during a dance competition. But even that scandal was not enough to derail the completion of the Amazon deal, which Northam and his staffers took the lead in negotiating alongside a small group of state lawmakers. Under the terms of the deal, state officials will send the tech giant $550 million in grant money to defray the company’s tax burden, so long as Amazon comes through on its promise to bring those 25,000 jobs to Arlington between now and 2030. Amazon could earn another $200 million if it adds another 12,850 jobs at the new headquarters through 2034, but it’s not committed to doing so. The legislation just approved by Northam may be the single largest piece of the county’s offer to Amazon, but it’s far from the only sweetener state officials dangled to attract the company. Two transportation projects promised as part of the deal — a second entrance for the Crystal City Metro station and an expansion of the Crystal City-Potomac Yard bus rapid transit system to Pentagon City — recently won tens of millions in state funds, though three remaining transportation improvements still need to find funding. Officials also agreed to invest $800 million over the next 20 years to help state universities hand out 25,000 degrees in high-tech fields, in a bid to provide a “tech talent pipeline” that could fuel Amazon’s new headquarters. A Senate bill establishing the program passed that chamber unanimously yesterday (Tuesday), while an identical companion in the House of Delegates also passed that body on a 92-5 vote. Finally, Arlington officials need to sign off on their own incentive deal with the company, designed to send about $23 million to Amazon over the next 15 years. The money will be drawn from an increase in hotel tax revenues expected to be driven by Amazon’s arrival. The County Board had long planned to consider the issue at the end of the month, but has since backed off that timeline in favor of examining the deal no earlier than mid-March.